The Freud LU91R008 8-1/2 in. 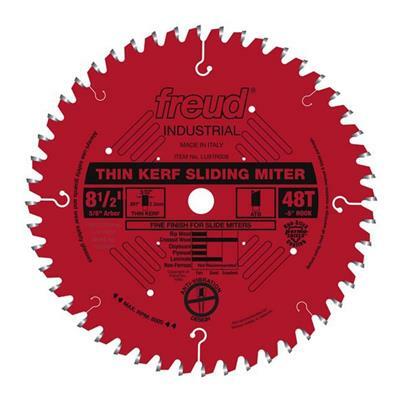 x 48-Tooth Thin Kerf Sliding Compound Miter Saw Blade provides a superior finish cut with sliding compound miter saws. The 5 degree negative hook angle helps prevent the blade from being too aggressive and pushes the work piece down and towards the fence.